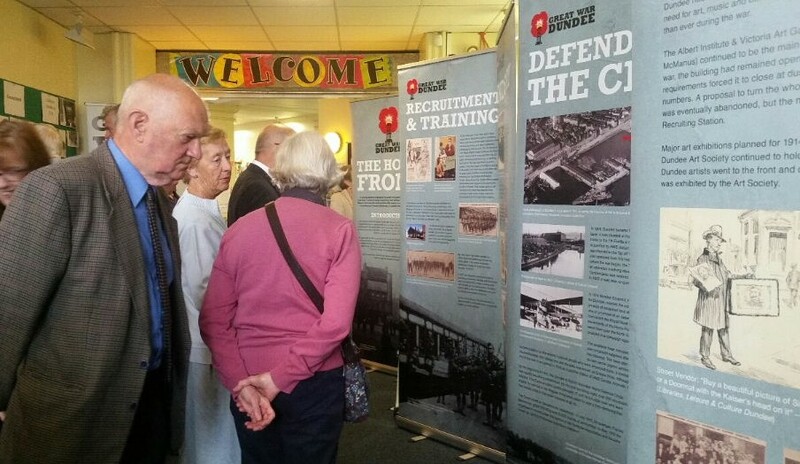 This morning, I was delighted to attend the launch at Lochee Library of a new touring exhibition created by the Great War Dundee partnership. “Home Front” focuses on what life was like in Dundee during the First World War. It is an absolutely excellent exhibition and gives a fascinating glimpse into the affect of the Great War upon the people of Dundee and the city. The exhibition will be on show at Lochee Library for four weeks before touring round other libraries and venues elsewhere in the city. I am pleased to say that Blackness Library is likely to feature in the exhibition’s tour. 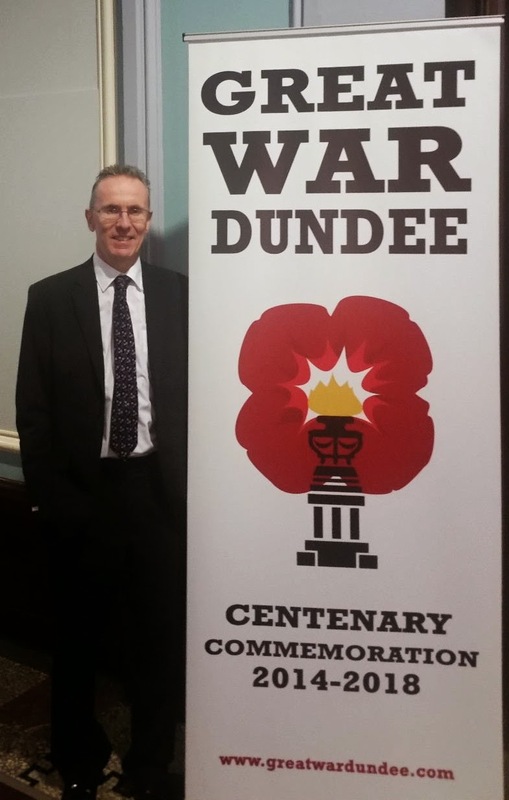 Earlier today, I had the pleasure of attending the Great War Dundee and BBC World War One at Home partnership event, taking place at the City Square, Marryat and Caird Halls and what an excellent, informative and interesting event it is. There is still the opportunity to visit tomorrow, Saturday 2nd August, from 10am to 5pm. 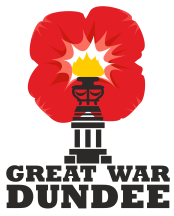 The Great War Dundee Commemorative Project 2014-2018 deserves congratulations for its exceptional efforts to ensure the Great War is properly commemorated in the city,that local people get involved and that knowledge of Dundee’s part in the Great War is increased. Dundee Libraries are working with Cargo Publishing to launch an exciting new book competition. Could you write a book for children aged 9-12 about Dundee during the Great War? If so, more information about the competition can be found here. The winning entry, judged by school children in Dundee, will win £2,500 as well as having their book published by Cargo Publishing. The deadline for entries is 31st August 2014. For further information or to receive a pack through the post, please contact bookprize@leisureandculturedundee.com. 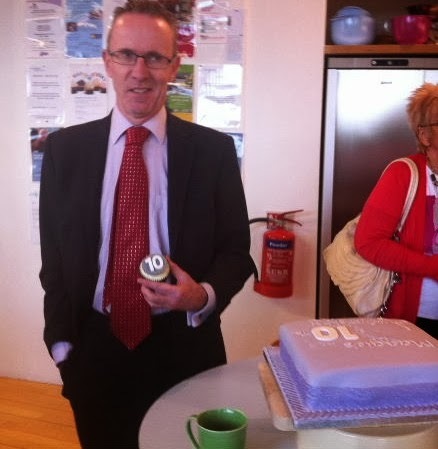 Yesterday, I had the great pleasure of attending the 10th Birthday celebrations at Dundee’s Maggie’s Centre (see photo right). It was a hugely well-attended event, marking an important milestone for Maggie’s, which provides vital emotional, practical and social support to people with cancer and their families and friends. Maggie’s Dundee was designed by Frank Gehry and was opened in September 2003 by Sir Bob Geldoff. Later yesterday, I called by the Great War Dundee’s Open Day at the Wellgate Library. It was good to speak to many of the participants – a whole host of organisations from the Black Watch Museum to the Friends of Dundee City Archives. You can find out more about the Great Ward Dundee Commemorative Project here. 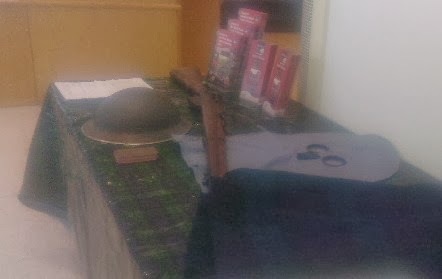 The photo (right) shows part of the Black Watch Museum’s display. Also yesterday, I participated in the City Council’s Scrutiny Committee, at which I asked questions about the speed of response to complaints to the council and an internal audit report. 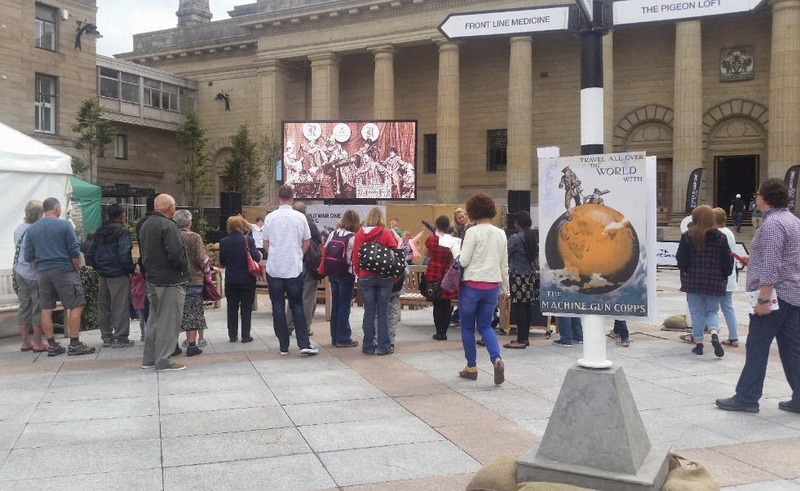 Great War Dundee will host a public Open Day at the Steps Theatre tomorrow – Wednesday, 25th September from 2pm. Many of the partnership organisations involved with the project will be available for consultation. Admission is free. Great War Dundee, a city-wide partnership of organisations believed to be the first community co-operative in Britain to plan for the start of next year’s commemoration. •a new book about the history of the 4th Black Watch, ‘Dundee’s Own’, to be launched at a Great War Dundee Open Day event next month. •a new ‘one-stop shop’ web portal on all First World War information held in Dundee, which will allow the public to add their own stories. •a tour of ‘forgotten’ sites, including airfields, hospitals, munitions factories and military camps to learn more about the significance of the war’s impact on the local area. Great War Dundee is a superb commemorative project that will be supported by the whole city.